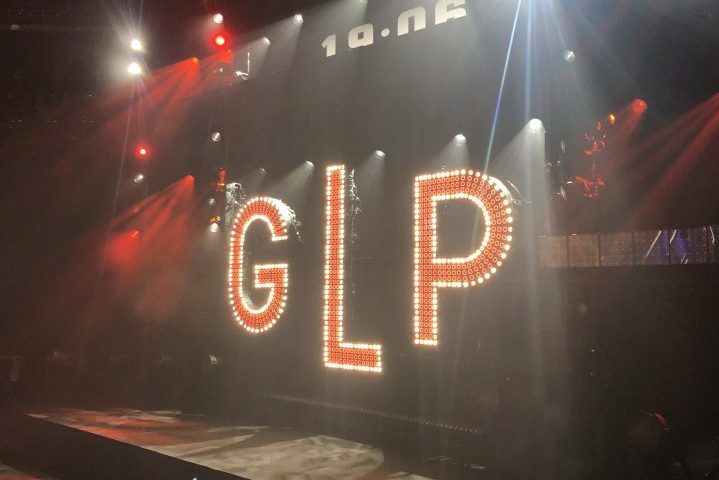 Following on from their groundbreaking X4 Bar series, GLP is introducing the FR10 Bar, a linear format fixture that offers unrivalled output and creative control, whilst blending seamlessly in with the existing X4 Bar series. The GLP FR10 Bar has a 10:1 ratio zoom range of 3.5 to 35 degrees, but what separates the FR10 from any other product on the market is the ability to control each of the zoom lenses individually and independently. This functionality brings a whole new level of creativity, design possibility and flexibility to the concept of linear lighting. At its narrowest angles, the FR10 Bar produces clean, seamless flat sheets of light that are incredibly dramatic and piercingly beautiful, along with arrays of pin point beams of light. At wider angles, the FR10 Bar can wash areas and surfaces of stages, walls, cycloramas and much more. The addition of individual zoom control gives huge mid-air possibilities, along with the subtlety when needed, to get clear focus control on specific performance areas, at an individual pixel level. Utilising the same physical construction as the industry standard GLP X4 Bar 20, the FR10 Bar fits seamlessly with existing units in the market and uses the same rigging and interlocking systems for simplicity and future-proofing of creative design. This also means consistent pixel spacing between fixtures when using multiples of the FR10 Bar together. With its seamless integration, the FR10 Bar features 16-bit movement through a tilt range of 210 degrees, with integrated feedback. Power and data connectors are contained within the base of each unit for simple daisy chaining of multiple units. The GLP FR10 can be rigged in any orientation and has in-built rubber feet for floor mounting. Built-in safety attachments and a tilt lock for transportation are all standard, along with a battery controlled menu system for easy fixture setup at any time. The FR10 is powered from a fully auto sensing power supply for use around the world and uses Neutrik True1 connectors, input and output, whilst 5-pin XLR connectors support DMX and RDM protocols. The GLP FR10 Bar is a complete new step forward in the development of automated linear lighting, yet allows perfect backwards compatibility, giving designers more flexibility than ever before. The KNV Line and KNV Dot fixtures take the concept of physical flexibility and match it with raw power in an expansion of the KNV creative family of units from GLP. Able to run individually, or combined together, these new KNV additions are the perfect answer for small, compact locations right up to large format design integration. 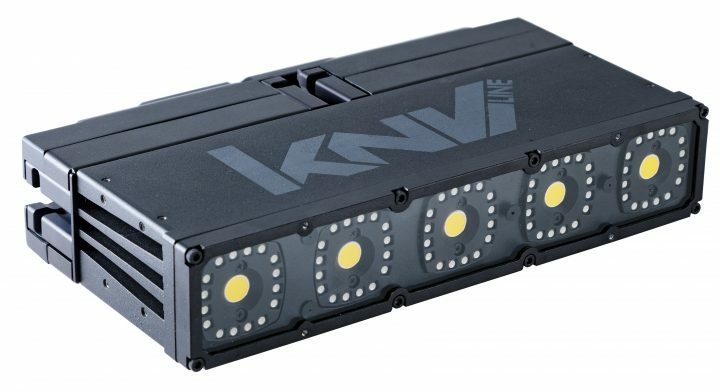 With five high powered RGBW pixels in a simple linear format, the KNV Line has the ability to join seamlessly with the KNV Cube and KNV Arc. It features an attachment point on each side allowing it to couple directly to other KNV units and extend both simple and complex structures, in cooperation with the KNV Cube and KNV Arc. 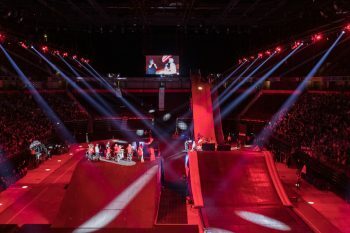 Each KNV Line contains five of the same RGBW pixels as featured on other units in the KNV range with full colour mixing, dimming and shuttering power, with complete pixel mapping capabilities. Whether adding a small sliver of an extension, creating a juxtaposed design structure, or extending a clean linear length, the KNV Line brings great flexibility to any lighting and set design. The KNV Dot is a single pixel source with full RGBW colour mixing capability and a powerful output for a smaller point source. It is both compact and lightweight allowing it to be placed in the smallest spaces, and easily built into set pieces and staging risers. The KNV Dot is also perfect to hang in locations where multiple units are required for greater coverage, but without breaking the bank. The KNV Dot housing includes in-built mounting brackets of the same size and design that are used with the GLP X4 atom fixture, allowing seamless integration with any X4 atom units. 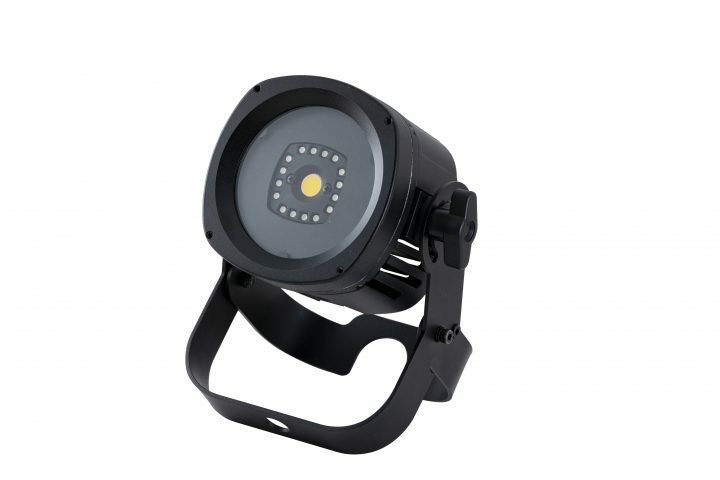 The KNV Dot can easily be mounted individually, and benefits from a wealth of X4 atom mounting accessories that are already available in the market. The KNV Line and KNV Dot are both IP54-rated, in keeping with the rest of the KNV family, allowing them to be used outside in even the toughest weather conditions. The KNV Line and KNV Dot are powered from an external power supply reducing the size and weight of each unit and increasing their ability to be placed in the tiniest, tucked away locations. KNV units are daisy chained using 4-pin cables that carry both the power and data signals. Each power supply unit can run up to 25 pixels, with any combination of KNV Line or KNV Dot able to connect together, up to the maximum pixel count. 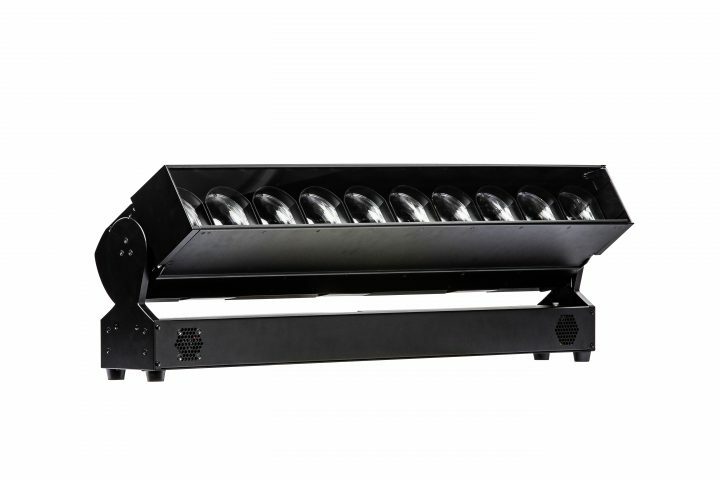 Whether used stand-alone or combined with other KNV fixtures, the KNV Line and KNV Dot offer some powerful design options in a multitude of applications. 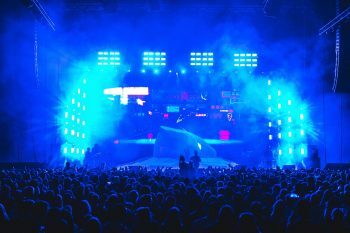 Both products, as well as the rest of the range, will be showcased at Prolight + Sound on GLP’s stand (Hall 12.1, D36).